Sharing Good Times. Good meals. Great Friendships – That’s Firenze! We Won't Be Demanding A Re-Count! 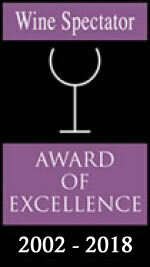 Thank you for Voting us “Diner’s Choice” Award Winner for 2019 and “Wine Spectator” Award of Excellence for 2018! Every Day from 4-6:30! Check out our Food and Drink Specials! 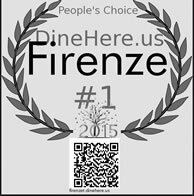 Firenze Trattoria has been selected by OpenTable diners as one of the best! Sunday May 12, 2019 – Opening at 11AM, Just for Mom. 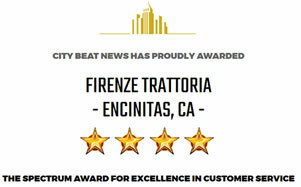 Welcome to Firenze Trattoria. Our authentic Italian restaurant is just around the corner, in beautiful North County, San Diego. However, it feels like you’re thousands of miles away in the Hill Country of Italy’s Tuscany – we offer one of the most romantic Tuscan restaurant atmospheres out of all San Diego Italian restaurants. Whether you are looking for Italian food in Rancho Santa Fe or a romantic dining occasion in Encinitas, we are primed to serve you! Join us for unparalleled Italian food nestled on the beautiful border of Encinitas and Rancho Santa Fe. Experience Italian dining Al Fresco in our Tuscan villa inspired patio. Italian food coupled with an elegant atmosphere makes Firenze Trattoria a perfect way to enjoy San Diego’s pleasant summer evenings. Or choose the perfect table inside our comfortable dining rooms, both public and private. And don’t pass up our well-appointed bar room. A local favorite North County San Diego restaurant gathering spot – here’s to celebrating the day with old friends and new ones.